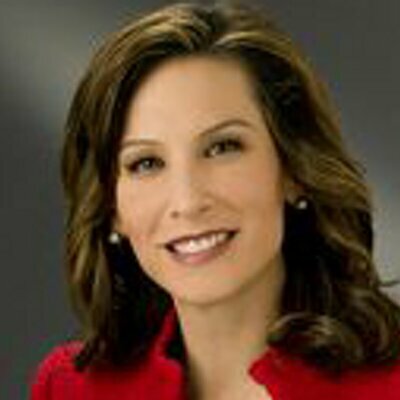 Monique Ming Laven co-anchors KIRO 7 Eyewitness News at 5 p.m. Monday through Friday alongside Steve Raible, Angela Russell and chief meteorologist Sam Argier. Monique joined KIRO 7 Eyewitness News in June of 2006. She splits her time between anchoring and reporting during the week. From the field, she’s covered stories ranging from spring snow storms on Stevens Pass to the shooting spree at Virginia Tech. In 2009 she reported live from Perugia, Italy, on the Amanda Knox trial and verdict. KIRO 7’s coverage received an Emmy Award and a National Headliner Award for Breaking News. As an anchor, Monique has been on the desk for some of Western Washington’s biggest news stories, including extended coverage during the Lakewood police officers’ shootings, the murder of Seattle police officer Timothy Brenton and the shootings at Marysville Pilchuck High School. She also anchored coverage of a holiday season shooting at Westfield Southcenter for which KIRO 7 received an Emmy Award and a National Headliner Award for Best Newscast. Before joining the KIRO 7 team, Monique worked as evening anchor and reporter at WCMH in Columbus, Ohio, WKOW in Madison, Wisconsin, and 6News in Lawrence, Kansas. During her time in the Midwest she was in key swing states for the presidential elections in 2004 and 2008, she traveled to New York City to cover the September 11th terrorist attacks, and she biked 560 miles in six days from Minneapolis to Chicago, reporting on the Heartland AIDS Ride. During her Midwest tour of duty, she picked up an Edward R. Murrow Award for Best News Series and the Associated Press Award for Best Documentary, among other awards for sports reporting, feature writing and spot news. Monique has made a practice of living in cities with universities (Kansas Jayhawks, Wisconsin Badgers, Ohio State Buckeyes), but this is the first time she’s settled into the turf of a Pac-10 rival: she is a Phi Beta Kappa graduate of University of California Berkeley. One of her favorite memories is watching the Battle for the Roses game between Cal and UW. Although the Huskies pulled it out, she cherished cheering on Cal alongside her grandfather, another Golden Bear and her favorite game day date. Monique lives in Seattle and when she’s not at work, she’s usually reading, traveling, eating, cycling or refereeing disputes between her dog Meyer and cat Newton.